You want to make it to your favorite events as easily as possible – and today we’re announcing another way to do just that. Ticketmaster is now integrated with Bixby, Samsung’s intelligent assistant that makes it fast and easy, on the Samsung Galaxy Note9. 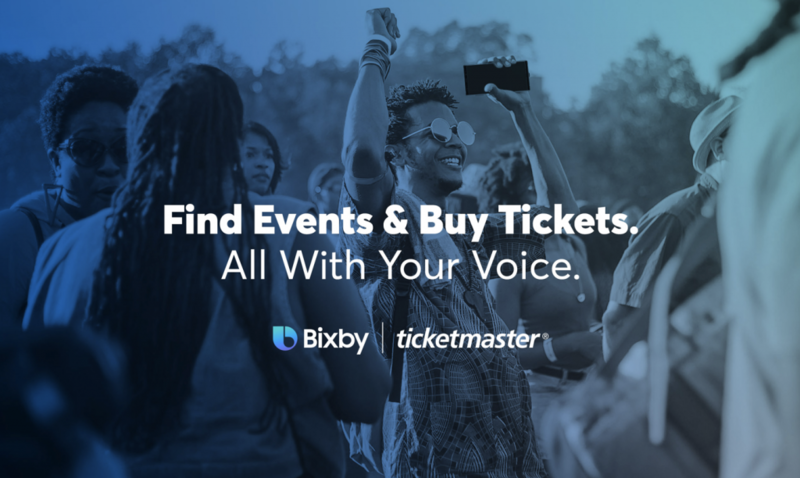 With Ticketmaster and Bixby, you can use your voice via mobile device to discover the best live events and buy tickets by searching for artists or teams, location, or event dates. For example, you can say: “Hi Bixby, find concert tickets in Houston” – and Bixby will return the results on your Galaxy Note9. From there, you simply need to confirm your order details and finalize your purchase. … and just like that, you’re set to see the show! Even more impressive is that you can still find great events even if you don’t know exactly what you’re looking for. Through pairing Ticketmaster’s massive inventory of live events with Bixby’s enhanced AI technology, recommendations can be made based on your favorite artists or teams. So if you’re huge sports fan, you can say something like: “Hi Bixby, what sporting events are happening in Houston this weekend?” and Bixby will display Ticketmaster games based on the teams and sports playing nearby. The technology works for all types of events! Whether it’s a Broadway play, a hockey game, or a concert with your favorite artist, Ticketmaster wants to help you find the right live event for you, and we’re constantly looking at new and exciting ways to make that happen. That’s why our partnership with Bixby is so exciting. It’s a new, easy way to buy tickets. We can’t wait to see you at the show. Bixby service availability and features may vary by country or carrier. Voice Command recognizes English (U.S.), Mandarin Chinese and Korean. Not all accents, dialects and expressions are recognized. Voice command works with a select, growing list of Samsung and third-party apps. See the new Bixby menu for a list of compatible apps.